CANTON, Mass. (September 1, 2015) – Baskin-Robbins, the world’s largest chain of ice cream specialty shops, is inviting ice cream lovers around the world to go bananas for its new global Flavor of the Month, Banana Split. To celebrate its 70th birthday, Baskin-Robbins is transforming this ice cream sundae classic into a delicious frozen treat, which is available at participating Baskin-Robbins locations in nearly 50 countries around the world during the month of September. The new flavor features banana-flavored ice cream with chocolatey cherry pieces and almonds, swirled with pineapple pieces and strawberry and hot fudge ribbons. 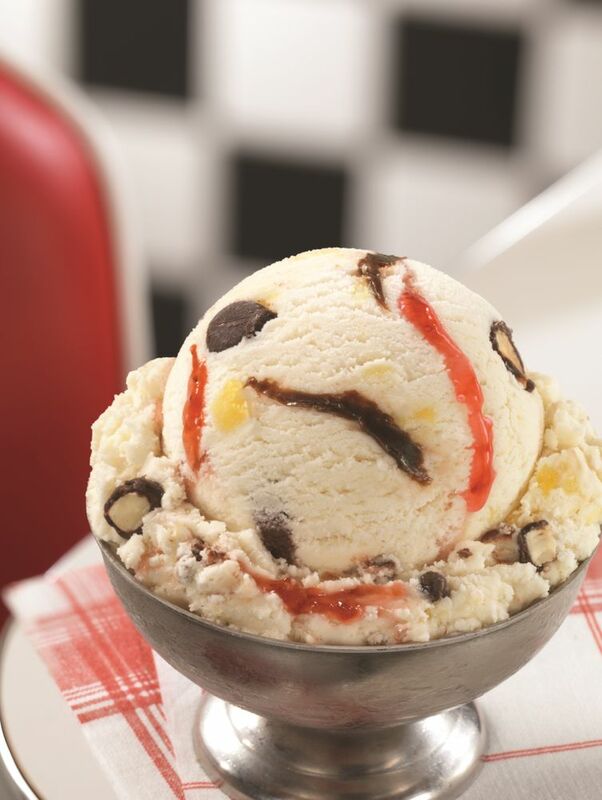 The new Banana Split ice cream can be enjoyed in a cup or cone as well as in a festive 70th Birthday Banana Split. Baskin-Robbins is also helping guests celebrate birthdays across the country with its new Mini Cupcake Birthday Cake, which is a fun and festive cake featuring a ring of miniature cupcakes made of white dipping chocolate and adorable edible candles. 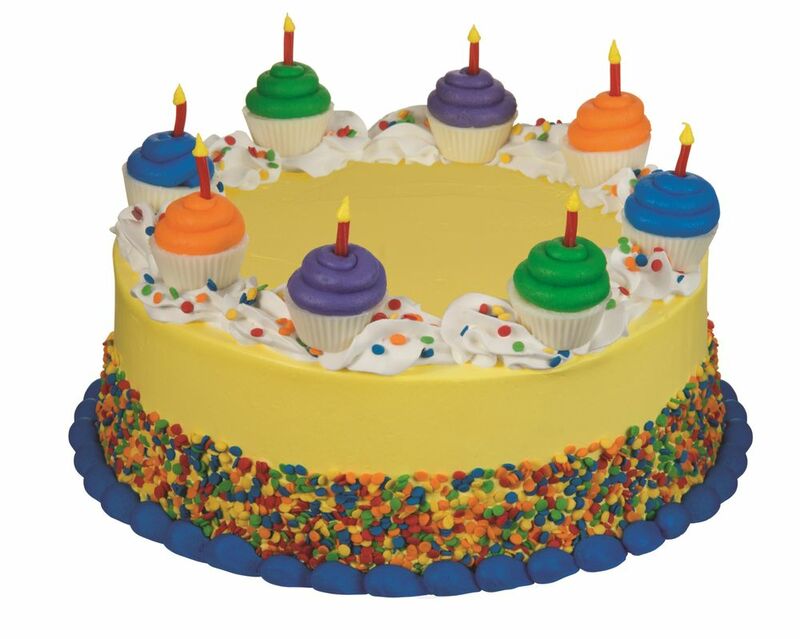 The cake can be customized with a guest’s favorite ice cream and cake flavors, and can be ordered at participating Baskin-Robbins restaurants nationwide or online through Baskin-Robbins’ online cake ordering website (www.baskinrobbins.com/onlineordering). Additionally, Baskin-Robbins is featuring Ice Cream Floats, classic ice cream shop treats made with ice cream and soda, as part of its 70th Birthday celebration. Ice Cream Floats are available at participating Baskin-Robbins locations nationwide, and can be customized with a guest’s favorite ice cream and soda flavors. “This year we’re commemorating 70 years of ice cream flavor innovation and we’re very excited to celebrate with guests across the country and around with world with our new global Flavor of the Month, Banana Split, and new Mini Cupcake Birthday Cake,” said Jeff Miller, Executive Chef and Vice President of Product Innovation at Dunkin’ Brands. "Banana Splits have been enjoyed at Baskin-Robbins shops for decades, and now guests can enjoy all of the elements of this ice cream parlor classic in one delicious scoop. Our Banana Split ice cream is a great new addition to the Baskin-Robbins flavor library." 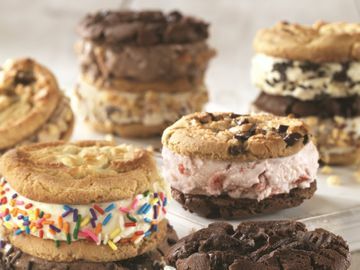 To further celebrate the brand’s 70th birthday, Baskin-Robbins will be randomly selecting 70 of its Birthday Club members between September 1st and 30th to receive a $31 Baskin-Robbins gift card for use towards their favorite frozen treats. Winners will be selected on four dates following entry periods throughout the month of September, and all current Birthday Club members are eligible to win, along with guests who sign up for the Birthday Club for free between now and September 30th. To sign up for the Birthday Club and enter the sweepstakes, and also enjoy a free 2.5oz ice cream scoop and a special discount on a birthday cake on their birthday, guests can visit https://www.baskinrobbins.com/birthdayclub. For more information about the Baskin-Robbins 70th Birthday gift card giveaway and official rules, please visit: http://bit.ly/1N4JGIA. No purchase necessary, must be 18+ and a legal resident of the U.S. or District of Columbia to enter. Finally, to celebrate the change of the seasons and the comforting flavors of the fall, Baskin-Robbins is bringing back its popular Pumpkin Cheesecake ice cream, which features delicious pumpkin and cheesecake flavored ice creams with gingersnap cookie pieces and a delicious cinnamon cream-cheese flavored ribbon. The flavor can be enjoyed in a cup, cone or as a Pumpkin Cheesecake Milkshake, blended with milk and simple syrup. Named the top ice cream and frozen dessert franchise in the United States by Entrepreneur magazine's 36th annual Franchise 500(r) ranking in 2014, Baskin-Robbins is the world's largest chain of ice cream specialty shops. 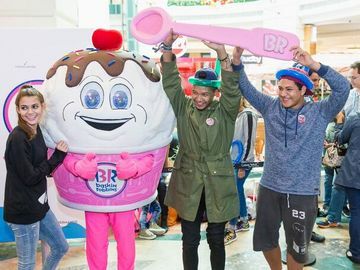 Baskin-Robbins creates and markets innovative, premium hard scoop ice cream and soft serve, custom ice cream cakes and a full range of beverages, providing quality and value to consumers at more than 7,600 retail shops in nearly 50 countries. Baskin-Robbins was founded in 1945 by two ice cream enthusiasts whose passion led to the creation of more than 1,200 ice cream flavors and a wide variety of delicious treats. Headquartered in Canton, Mass., Baskin-Robbins is part of the Dunkin' Brands Group, Inc. (Nasdaq: DNKN) family of companies. For further information, visit www.BaskinRobbins.com.